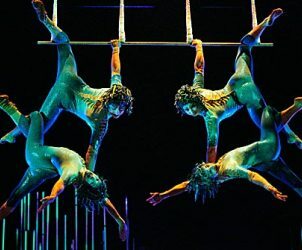 Sun Life Cirque du Soleil ~ Philippine Freebies, Promos, Contests and MORE! In celebration of their 116 years in the Philippines, Sun Life Financial is giving both their clients and non-clients a chance to have the most delightful and unforgettable experience. Log on to Sun Life's website, answer a simple question, and enter your details to win two (2) Level 3 tickets to Varekai by Cirque du Soleil. You may also upload a 30-second video clip answering "What is your most memorable Sun Life experience?" or "What do you think of Sun Life?" to win a trip to New York. The online promo can only be accessed from sunrise to sunset, weekdays, until June 17. Sun Life clients - "What is your most memorable Sun Life experience?" Non-Sun Life clients -"What do you think of Sun Life?" Minimum of 30 seconds video clip answering the question, "What is your most memorable Sun Life experience?" or "What do you think of Sun Life?" One entry per participant only.